Three years ago I moved in with my parents (89, 92). I cleaned, prepared meals, dealt with medical issues, changed diapers, helped toilet and bathe them until they passed away. Dad was so appreciative of remaining in his home he changed his will to leave me a larger share of his assets. My brothers have filed a lawsuit to divide the assets equally claiming I coerced Dad to make the change. They had zero involvement until Dad died. 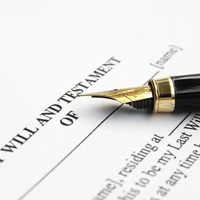 Why shouldn’t I inherit the largest share? If Dad voluntarily changed his assets distribution to thank you, the distribution seems appropriate. Hopefully, Dad consulted an attorney to leave you professional documentation proving the change was his decision. If not, we recommend you retain an attorney to sort this out.